See if you can spot Santa swimming among the sea creatures as he gets in the water for the first time ever at the Sea Life London Aquarium this festive season. Immersed in the water with the aquarium's two giant rare green sea turtles, Boris and Phoenix, sharks, rays and tropical fish, Santa will take a dip at 11.45am every day between 17th and 23rd December. It's Christmas come early for the i nhabitants of the million-litre ocean display as Father Christmas feeds squid to the dozens of sleek rays and scatter cockles and sprat for the shoals of tropical fish. What are the best dining options near Santa Swims at Sea Life London Aquarium London? 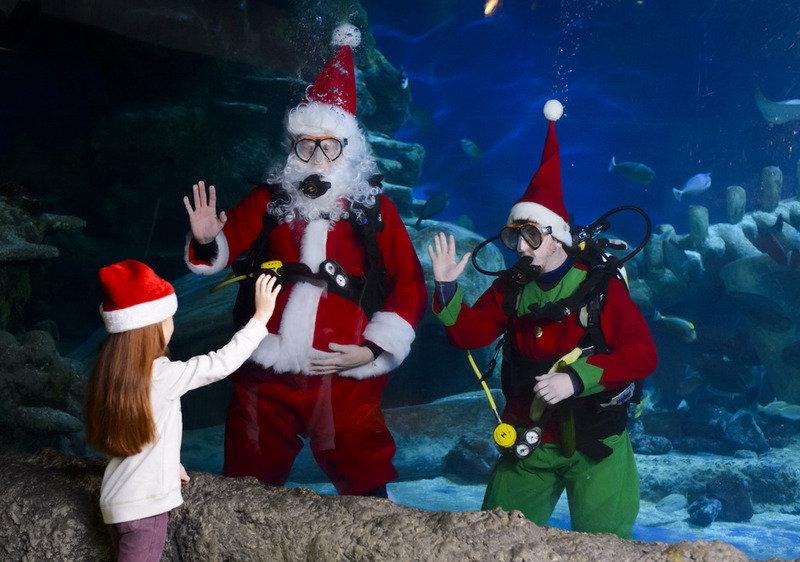 Santa Swims at Sea Life London Aquarium gyms, sporting activities, health & beauty and fitness. The best pubs near London Santa Swims at Sea Life London Aquarium. Santa Swims at Sea Life London Aquarium clubs, bars, cabaret nights, casinos and interesting nightlife. Where to have your meeting, conference, exhibition, private dining or training course near Santa Swims at Sea Life London Aquarium. From cheap budget places to stay to luxury 5 star suites see our discounts for Sea Life London Aquarium hotels, including Park Plaza County Hall Hotel London from 87% off.